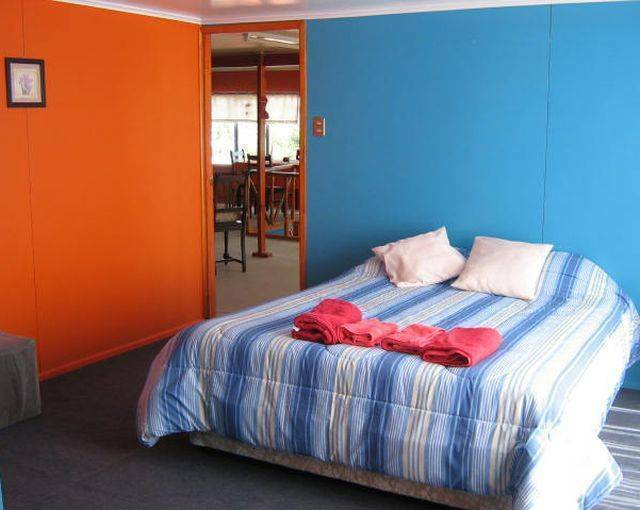 Evelyn lodging is a comfortable and friendly place in Puerto Natales city. We have single rooms, doubles, triple, cuadruple, all rooms with private bath. Lodging Evelyn offer at the visitors an confortable hostel with rooms with private bath, bag storage free, travel agency for the tours in the National Park Torres del Paine and Perito Moreno and rent equipment for you trekkings in the park. Evelyn lodging is a comfortable and friendly place in the Native city of Port. We have single, doubles, twin, triple, cuadruple and quintuple rooms with private bath. The rooms count with linen beds, towels, hot showers in the 24 hours of the day. The breakfast consists of: coffee, tee, milk, bread, yoghurt, butter, marmalade, cakes. The deposit of the luggage is totally free by the days that the provided with accommodation one considers advisable. The service of laundry has extra cost for the provided with accommodation one, at the time of being given the clothes, a maximum time of 5 hours is considered to be given back the washed and dried clothes. Habitacion single cuenta con sabanas y toallas, baño privado, Television con cable, calefaccion. Habitacion doble cuenta con toallas y sabanas, baño privado, television con cable, calefaccion. Habitacion triple cuenta con sabanas y toallas, baño privado, television con cable y calefacción. Habitacion matrimonial cuenta con sabanas y toallas, baño privado, television con cable, calefacción. Lodging Evelyn its located in the Puerto Natales cyty distant to 130 kilometers from de main National Park in Chile named Torres del Paine.